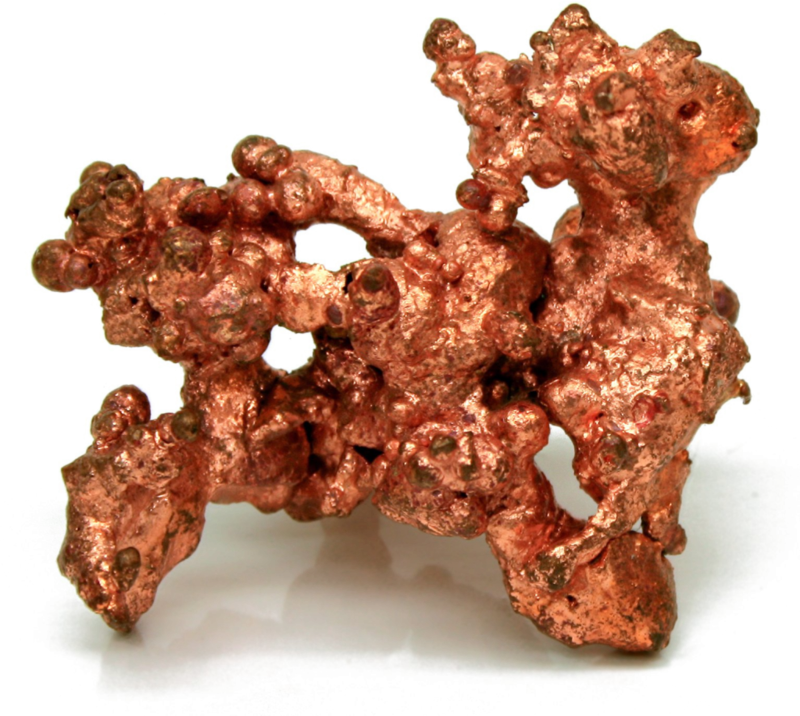 Copper is one of the few metals that occur in nature in directly usable metallic form (native metals) as opposed to needing extraction from an ore. This led to very early human use, from c. 8000 BC. It was the first metal to be smelted from its ore, c. 5000 BC, the first metal to be cast into a shape in a mold, c. 4000 BC and the first metal to be purposefully alloyed with another metal, tin, to create bronze, c. 3500 BC. In the Roman era, copper was principally mined on Cyprus, the origin of the name of the metal, from aes сyprium (metal of Cyprus), later corrupted to сuprum, from which the words copper (English), cuivre (French), cobre (Spanish), Koper (Dutch) and Kupfer (German) are all derived. The commonly encountered compounds are copper(II) salts, which often impart blue or green colors to such minerals as azurite, malachite, and turquoise, and have been used widely and historically as pigments. Copper used in buildings, usually for roofing, oxidizes to form a green verdigris (or patina). Copper is sometimes used in decorative art, both in its elemental metal form and in compounds as pigments. Copper compounds are used as bacteriostatic agents, fungicides, and wood preservatives.